I think I'm around 10 or 12 hours into (hard to tell) and I am liking the story so far, quite different to the majority of rpg stories (or game stories fullstop) Still not entirely convinced about the battle system, but I've got a feeling (and based on what I have heard of this game) that overall it could be one of the best DS games out there. I beat the 11th I think, just a few more to go. They are quite tough some of them, a frustrating game at times, but a pretty good one, not too many flaws. It does seem short if there are only 16 colossi and I am already through 11 at around 7 hrs in. Although that doesn't count all the times I died and had to restart the fights. Such good memories of playing this game as a kid. 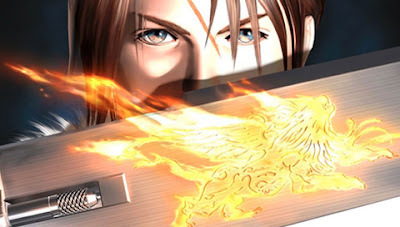 =D I mean, it is a flawed game (some say it is amongst the weakest of the FF games) but I still like it despite those flaws. Hopefully I can understand the Junction system a bit better this time round.